Good afternoon friends and fellow bloggers. 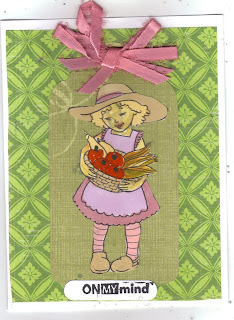 Card to share today is a friendship. How cute the little girl looks holding her basket and the green fits the theme perfectly! 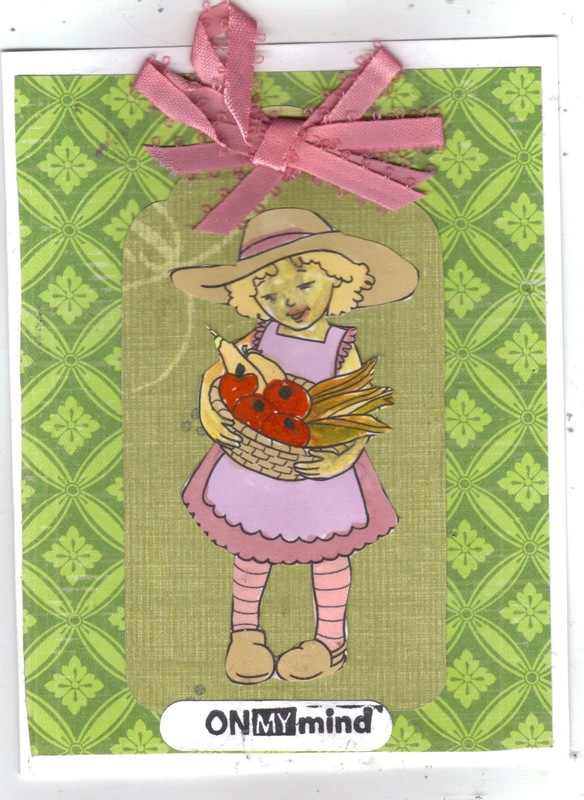 Such a cute card and image thanks for sharing!! She is a cutie and just love how you've done the bow! So pretty! Stopping by to formally invite to the 2nd Annual Link Up for Pink party. Hope to see you October 1st - 14th!